I sure had a hard time concentrating this afternoon… You know how it goes sometimes. You’ve got your to-do list scribbled on a Post-It note, but your mind keeps wandering. Then you glance down at your to-do list again, check the clock and vow to tackle your next task at the top of the hour. While you wait, of course, you pull up Glamour’s website in your browser and read an article on relationships titled, Who REALLY wrote the book of love? That was pretty much me this afternoon, and to make matters worse, I couldn’t keep my eyes off the new Too Faced Love Sweet Love Set ($46). The seven-piece limited edition kit includes a Book of Love Palette with six powder eyeshadows, two separate powder blushes, two lip glosses, a full-size tube of Lashgasm Mascara, a sample sized Shadow Insurance, a sample sized Perfect Eyes Eye Liner in Perfect Black, a half-ounce tube of Primed & Poreless Face Primer, a multipurpose face brush and a gold embroidered makeup bag. 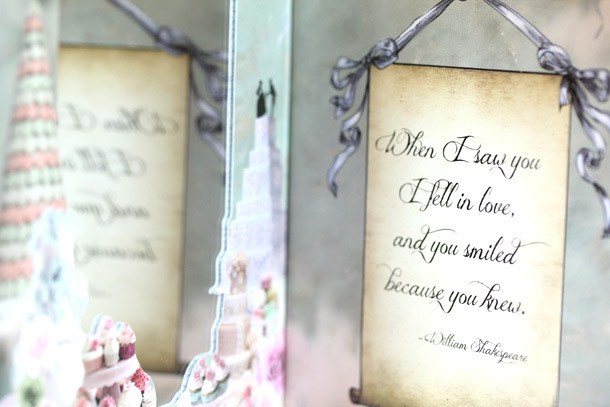 More to like about Love Sweet Love? Primer: Is it weird that I like this more for the typography on the tube than the formula of the primer, which feels a little heavy on my skin? All in all, not a bad set. And I really like the mascara, liner and blushes. That palette is too cute. I must have this! Thanks for sharing! I really love the colour of the blush, it’s pretty! Gosh I have a thing for blushes lately. I don’t really mind the medium coverage of the eye shadows, it’s always nice to have a bit of both. The brush is adorable too! I like that Pink Caramel blush and that purple eye shadow… Never been a fan of Too Faced but I think I have to try that mascara! I can’t get over how cute the palette looks! 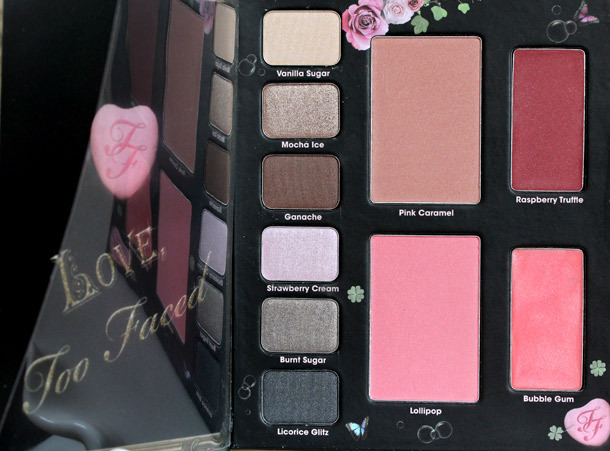 I have never tried anything from Too Faced but that whole set of items is really good at that price. Ashleigh recently posted … Meow Cosmetics Mineral Makeup Halloween Colors! Harvest Moon Collection. 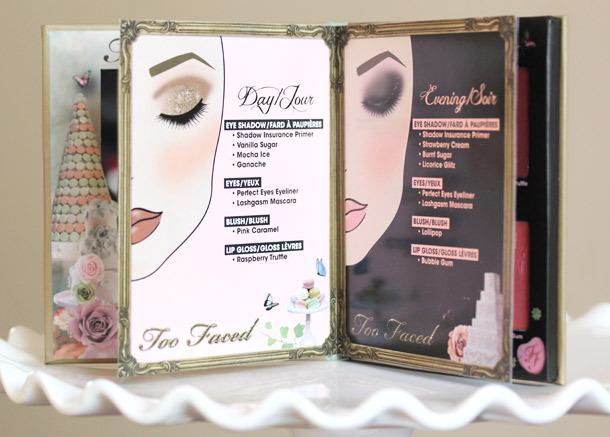 Ah, I love Too Faced’s sets! Oooooooohhhh I love the colors!! 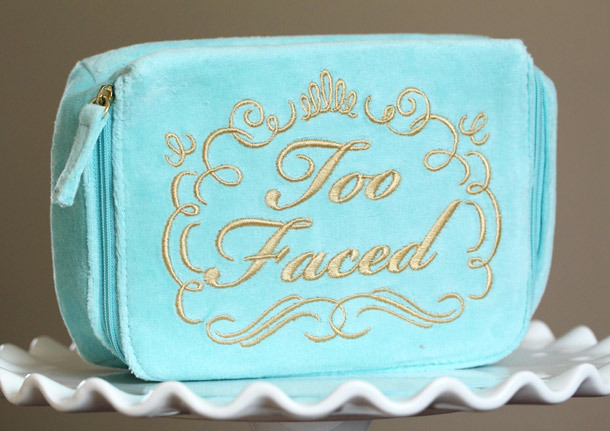 Is it me or the Too Faced holiday collection is really beautiful this year? I fell in love with the first sight! Hopefully Sephora Malaysia will be bringing this in soon! The packaging is beautiful and the shades are pretty too. I love the packaging, and the concept and products are super cute, but I don’t think I’ll purchase it . Ansh recently posted … Revlon ColorBurst Lipgloss Papaya – Are You Orangeaholic?! 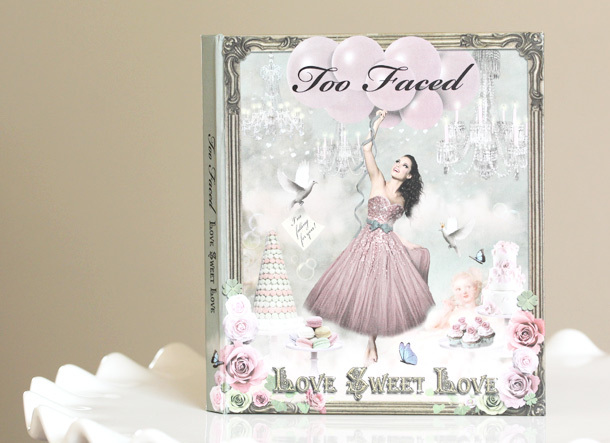 I love Too Faced packaging–it’s so romantic and girly. Which do you like better as far as the eyeshadows? This or the bon bon set?